Refrigeration Design Firm - Thermocarb Ltd.
Thermocarb Ltd. is a leading refrigeration firm who specializes in the design of ammonia refrigeration systems for ice hockey and curling arenas. Thermocarb Ltd. is a leading refrigeration firm specializing in the design of ammonia refrigeration systems for hockey arenas and curling rinks. Thermocarb has unparalleled experience designing, constructing and managing refrigeration projects in Western Canada. While tried and proven designs make up the basis of our new systems and system upgrades, we also continue to explore new technologies and design ideas to help maximize the potential of the refrigeration process. Thermocarb has been involved in the design and project management of numerous projects including the Scotiabank Saddledome, Safeway Canada, Rocky Ridge Recreation Facility, Winsport arenas at COP, the South Fish Creek and Airdrie Genesis expansions, as well as multiple City of Calgary Arena upgrades and modernizations. At Thermocarb we strive to provide solutions that maximize the economic and social success of each recreational ice sports facility. 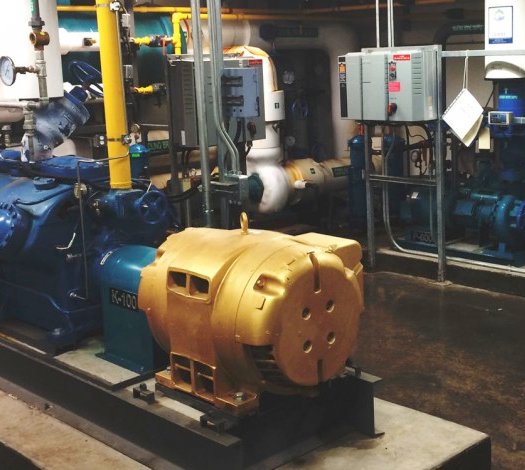 Whether it is a 5TR single sheet curling rink, or a multi-compressor, 400TR state of the art 4-plex arena, we concentrate our efforts on designing systems that are safe, efficient and reliable for the communities they serve.